Library 2.012 Conference is coming! I am looking forward to this year’s conference. Check out the website they are still accepting conference proposals. I have always wanted to work in administration. So, recently, I was thinking what I would need to do to become a library director. What type of education? 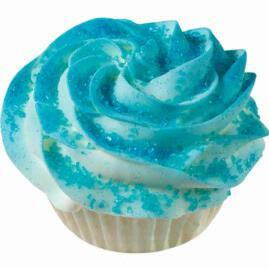 I found this blog posting by Kenley Neufeld about Being a Library Director: What’s it all about?. I like this post, and wanted to share it. I really enjoyed Amy Deschenes’, a Library Technology Specialist at Simmons College Library, presentation titled Creating a Mobile Presence in the Library. The content was great, and her presenting style was engaging. She discussed creating a mobile website versus an app. You might want to create a Redirect if your website has a lot of metadata or large images because it will load slowly. She discussed Frameworks &Tools you can use to create your mobile website or apps. To create a mobile website you might want to check out: iWebKit or winksite. For creating an app you might want to look at: appsamuck, android developers network, or PhoneGap. Once your site is up you can use iPhoney, iPhone simulator, and W3C mobileOK checker to do testing. If you do not have the time you might want to consider boopsie for libraries or Library Anywhere. All of the above information was new to me, and I thank Amy for such an informative presentation. 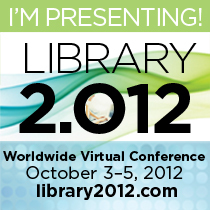 I attended Day One of the ALA Virtual Conference 2011. I have to eat quickly before a couple of meetings, but I wanted to share my notes from the presentations so far. Young people make themselves very vulnerable by their use of social networking. Librarians should be advocates for young people, and helping them managing and navigating what privacy is. Teaching young people media literacy. Young people lied about their age to get Gmail accounts then go to sign up for Google+ and lost their email accounts. Google created a complex way to segment it. Chicago Public Library #6 in the list of most downloadable collections. Rock on Chicago! With increased marketing more e-books were downloaded! Why do libraries need to be use social media? If you are not using social media you are not in the library.Your patrons are tweeting and letting their friends know about your library. Who on staff will post on your library’s Facebook page? Make sure more than more person has the username and password. If they leave they will take this info with them. @davidleeking, Facebook can increase library use, because they are interacting with the library online. Pecha Kucha are 20 slides x 20 seconds, and you speak as the slides go. Slides move forward automatically. It started in Japan, and was used by architects and designers who wanted to give brief presentations of ideas. Pecha Kucha is Japanese for chit chat, sometimes called lightning chats. Hopefully more entertaining than bullet points! My Response to ALA Annual 2011: Panel Calls on ALA To Do More To Promote Diversity: Diversity is a huge issue, and we may always need to address it. My personal experience with librarianship has been positive. My race or cultural differences have never stopped my colleagues from embracing me. It has never prevented my supervisors from mentoring, and supporting my library career. I went from an even less diverse field into librarianship. We have a lot of work to do, but we are much farther than other professions. Yes, give scholarships, but when I sat in the classroom last year I was often the only minority student. We need to recruit minorities. I think the issue is teaching minority youth that librarianship is an option. It is not just sitting at the reference desk at your local public library. We work in the corporate sector, federal government, colleges, and universities just to name a few. Some of us are entrepreneurs providing a variety of services. We speak to each other, librarian to librarian, but we need to reach farther. Talk to the minority youth around you and let them know how cool it is to be a librarian.